If you’re a huge user of Google’s customized homepage iGoogle, then you’re probably familiar with the Gmail widget, or gadget, that Google provides. 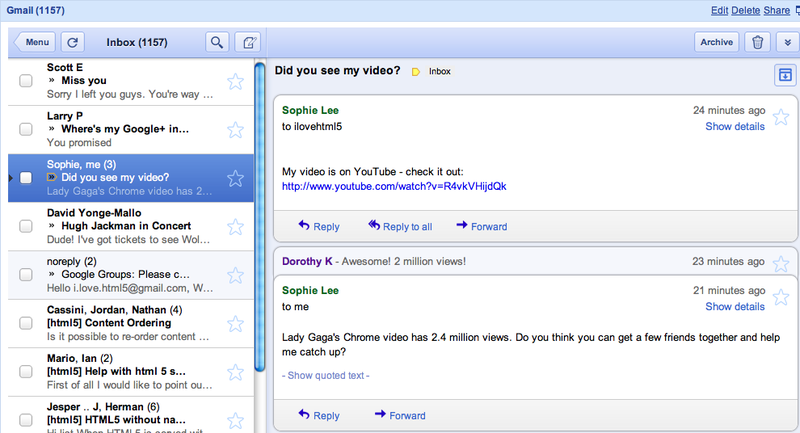 It’s proved to be a big help to me over the years as it provides an at-a-glance state of my inbox. 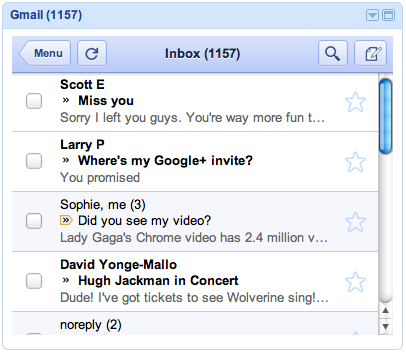 Unfortunately, it’s also not all that great at managing email as the interface hasn’t been updated in years. Today, Google has announced an updated version of the Google gadget for iGoogle home pages and its based it on the mobile version of Gmail that you use on your phone. Google knew that they had already designed an interface for Gmail that was meant to be used in a ‘credit card’ sized space, so they just adapted the mobile web version of Gmail to work as a widget. Why reinvent the wheel? In addition to the main interface mimicking the mobile web version of Gmail, they’ve also managed to include some tablet-style magic as well. When you maximize the gadget’s pane, it turns into an interface that looks very much like what you’d see on an iPad. It all looks very good. The new Gmail gadget for iGoogle pages will be rolling out over the next few weeks and current users will get the upgrade automatically, so don’t be too surprised if you visit your iGoogle page to see a fresh new design. If you’re not already using the widget, you can install it here.